Route F35 through the middle of Iceland, usually called the Kjölur route, is unique among Iceland’s Highland roads in being the only one you can traverse in an ordinary two-wheel drive car. Running between Gullfoss in the south and the Ringroad near Varmahlíð, at 200 km. 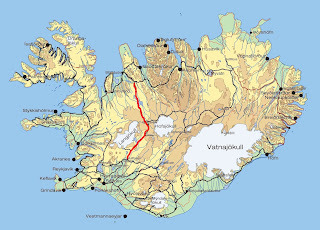 long Kjölur is the shorter of the two inland routes across Iceland. Of course two-wheel drive hire cars are not allowed on F-roads at all for insurance reasons; so that’s out of the question. And if you love and care for your own little Yaris, Avensis or Passat then it’s probably best to leave it at home. If, however, you are in someone else’s car, then have a blast! 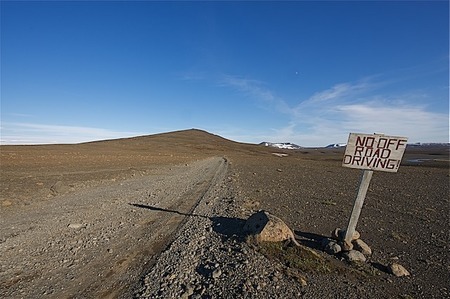 Despite its convenient ‘unique selling point’ there is little doubt that you will be more comfortable and less prone to mishaps if you stick to a decent 4×4 vehicle along the Kjölur route. That way, things like mud and washboard gravel won’t be able to ruin your day. As with all Highland roads in Iceland, Kjölur is only accessible in the summer, opening usually in late May or early June. You can check road conditions before you leave on the roads administration website. You should also study SafeTravel.is carefully. 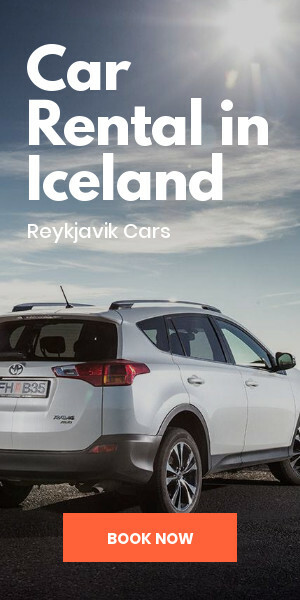 We also recommend you to read our article about driving in Iceland. There are many reasons for visiting the Highlands; most of them involving the desire to ‘get away from it all’ (whatever all of it may be) and to see some of the only wilderness in Europe. There really isn’t a lot up there – and that’s of course the biggest attraction! 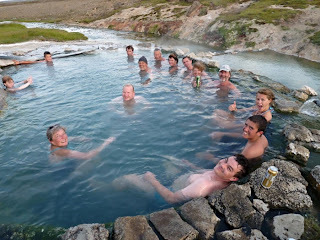 The Kjölur route starts conveniently right by Gullfoss and winds its way up between the Langjökull and Hofsjökull glaciers and right past Hveravellir; a bubbling, glooping, churning geothermal area you’d be mad not to stop off at especially to take a refreshing dip in the hot spring. There is accommodation here if you want to stay the night, and plenty to explore on foot. Before that, you will pass Lake Hvitarvatn and its surroundings. 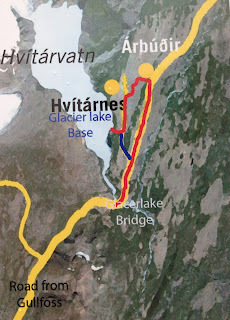 Langjokull glacier, Thorisjokull glacier, Eiriksjokull glacier, Hrutfell mountain, Hagavatn lake and Hvitarvatn lake. The glacier is roughly parallel to the direction of the country's active volcanic zone (see volcanism in Iceland): north-east to south-west. 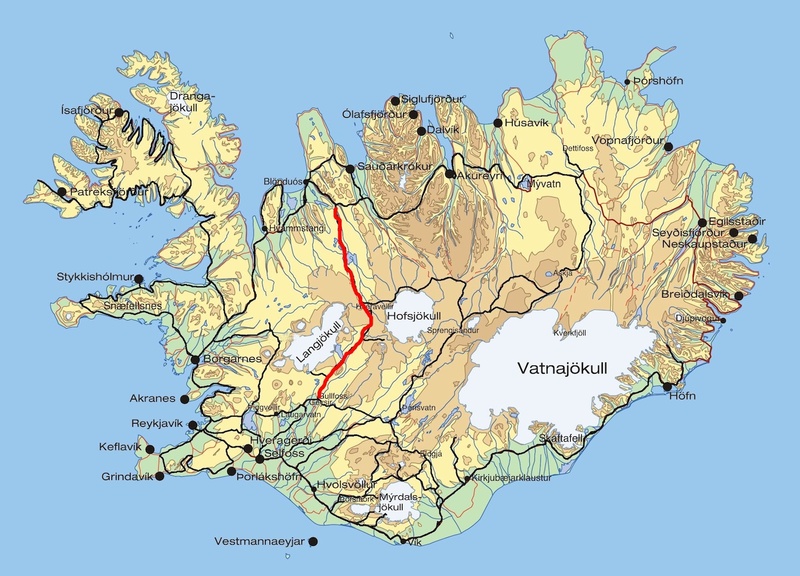 It is about 50 km long and 15 to 20 km wide, and has a slightly narrower point roughly between the lake Hvitarvatn on the Kjolur mountain road to the east and the Thristapajokull glacier to the west, near another smaller glacier, Eiriksjokull glacier, which is not quite connected to Langjokull glacier. It is the nearest large glacier to Reykjavik. The area of the glacier includes some mountains, e.g. Jarlhettur ("The earl´s hat") on the east side of Langjokull glacier, a palagonitic mountain range, which originated in a fissure eruption under a glacier during Ice Age. 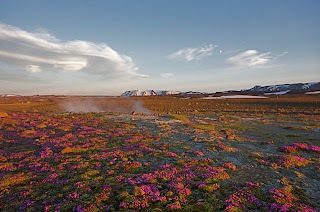 The mountain Skridufell (1235 m) is situated on the east, above lake Hvitarvatn. 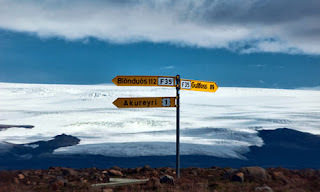 Other mountains on the eastern side of Langjokull glacier are Fjallkirkja (1177 m), Thursaborg (1290 m) and Peturshorn (1370 m). A little to the east of Fjallkirkja is the hut of the Icelandic Glacier Research Society (Joklarannsóknarfelag), which includes scientists as well as interested amateurs. 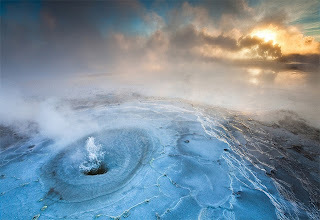 Hvitarvatn (also known as Hvitarlon) is a lake in the Highlands of Iceland and the source of glacial river Hvita (e. White river), Hvitarvatn means 'White river lake'. 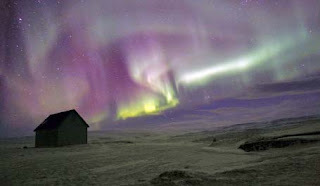 It is located 45 km northeast of Gullfoss waterfall. It's surface is about 30 km² and it's greatest depth is 84 m. It is a magnificent experience to sail on the lake and the view is amazing. 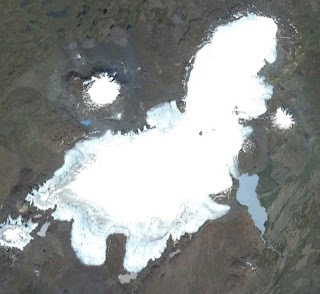 Langjokull glacier is next to the lake and it goes all the way into the lake. The scenery is very beautiful. This is a place you have to visit. 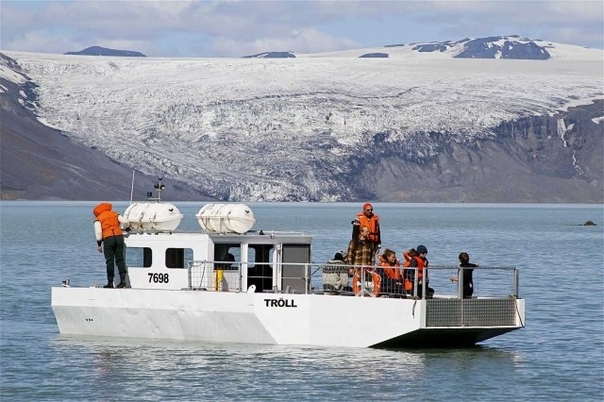 You can take a day tour and see the glacier and its magnificent surroundings. You can also take a hike on the glacier and the view from there is fantastic. Hveravellir is a unique nature reserve situated on the Kjolur route in the middle of the west highlands between the glaciers Langjökull and Hofsjökull. 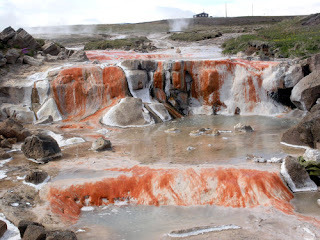 Hveravellir is one of the most beautiful geothermal areas in the world with smoking fumarolees and beautifully shaped with sky blue, boiling water. It is a special experience to have a look around, whether it is in the summer or winter. 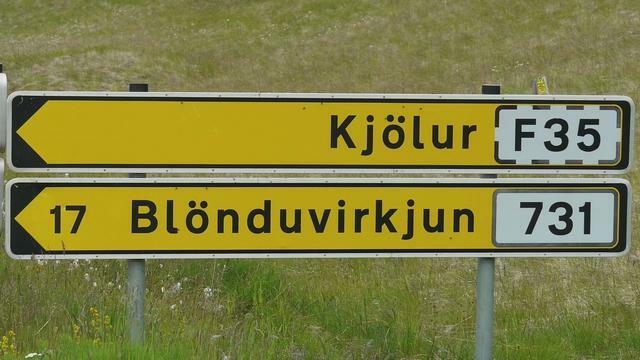 As it continues north (assuming you choose to drive south to north…it’s not a one way street), the Kjölur route wends its way through the mini ‘lake district’ around the Blanda river and the Blöndulón reservoir before emerging onto the Route 1 highway (after a short drive along Route 731) in the town of Blönduós, North Iceland. Blöndulón is one of Iceland’s biggest lakes and was created from scratch as recently as 1984 and not finished until 1991. 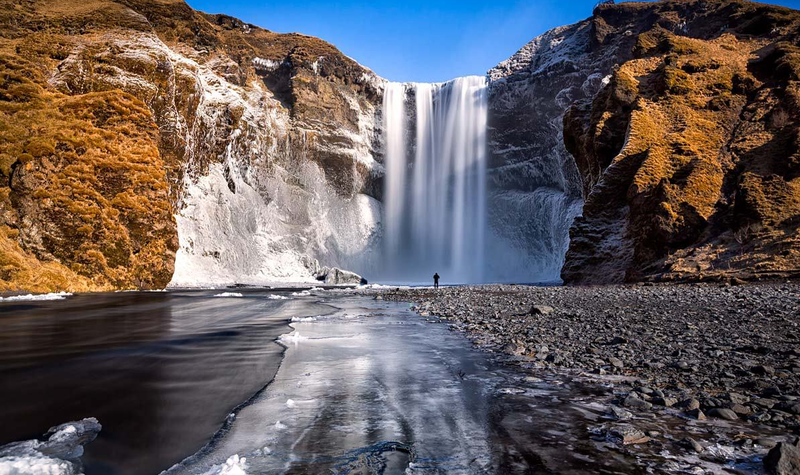 It is a reservoir for a hydro electric power station and is fed by Blanda one of Iceland’s longest and biggest rivers and one of the best places to catch salmon in all of Iceland, which is already famous for its salmon. This remains true to this day, despite the fact that the dam has stopped salmon spawning as far upstream as they once did. Anyway, this was not an article about salmon; it was about exploring the Icelandic Highlands. So get out there and do just that…but be careful! 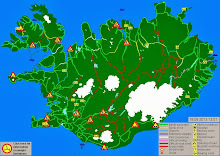 There are a number of other walking routes in the vicinity, for example to Rjupnafell, Thjofadalir, Jökulkrok and up to or on to the glacier Langjökull. 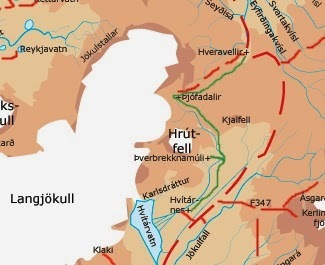 Longer routes, for example to Hvitarvatn in the south as well as over the old route over Kjalhraun or along the borders of the glacier Langjökull, are also available. 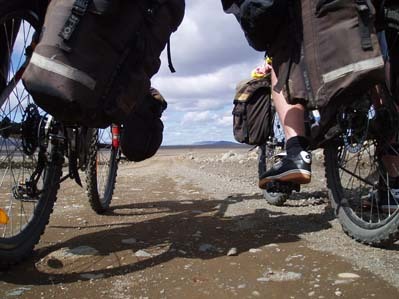 A fascinating route is also along the northern part of Langjökull and through Hallmundarhraun to Husafell. A further nice route leads around Hrutfell from where one can enjoy an extraordinary view over the area. There are an almost endless number of routes to choose from and everyone is sure to find something to suit their taste. 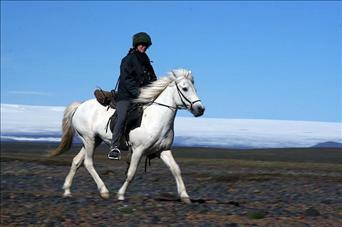 There is a horse rental at Hveravellir. A number of horse riding trails can be found in the surrounding area. One can choose between tours lasting a few hours, a whole day or even a number of days. The Icelandic horse is used to this rough terrain as it was the only mode of transportation over this route when the first settlers arrived in the country. The geothermal pool at Hveravellir is unique. Both hot and cold water flows to the pool, which makes it easy to regulate the temperature of the water in the pool. 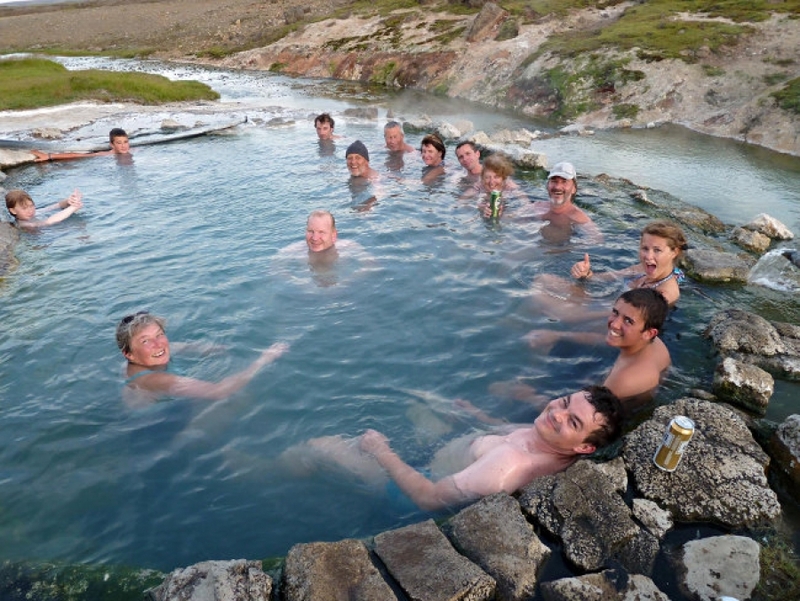 Over 20 people can comfortably bathe in the pool at the same time. 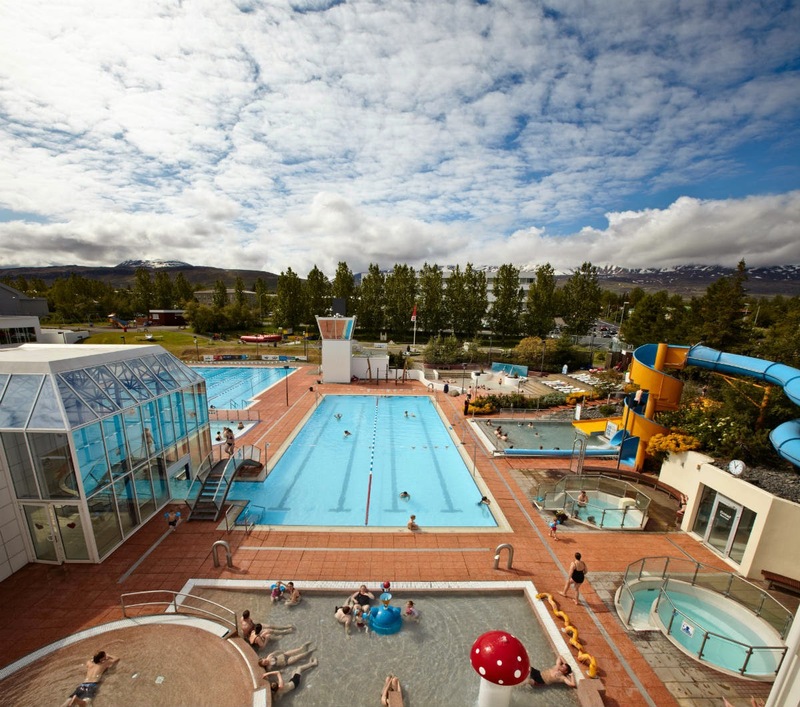 The pool and its entire surroundings are magnificent, offering a beautiful view of the geothermal area, Kjalhraun lava field and Langjökull. There is nothing that can compare to a dip into the pool after a days hike in the highlands. The hiking distance is 42 - 44 km. At the starting or finishing point, Hvitarnes, is the oldest hut (1930) of the Icelandic Tourist Association for 30 persons. Day 1. 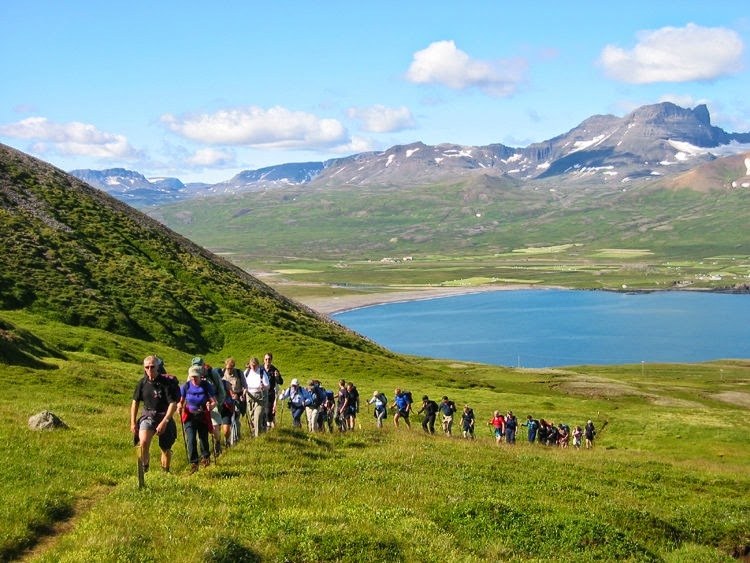 The first leg from Hvitarnes is about 12 km long and ends at the Thverbrekknamuli hut with an ascent of 100 m.
The Hvitarnes hut was the first to be built by the Iceland Touring Association in 1930. It is located 425 metres above mean sea level. It comprises the ground floor with two sleeping rooms, a kitchen and the entrance, the attic with mattresses on the floor and a small room. In the kitchen is a gas-stove and a log-stove, but no utensils. A WC is in a separate house and the warden lives in another small house. The view from the hut is breathtaking, and this hut is the starting or end spot of hikes on the ancient Kjolur Route. The Thverbrekknamuli hut is situated southeast of Mt Hrutfell, near river Fulakvisl. It is near the middle of the hiking trail on the ancient Kjolur Route. The hut was built in 1980 and accommodates 20 people. The house is heated with gas and an oil-stove. There are no utensils in the house and visitors have to take garbage with them. A WC is near the hut and a latrine for winter travellers a bit further away. The fifth bridge across river Fulakvisl was built in 2005. The others have either been swept away by floods or not withstood the weight of the winter snow. Day 2. The second leg ends at the hut in Thjofadalir after a 14-15 km hike with an ascent of 100 m.
The small hut in valleys Thjofadalir was built in 1939 to accommodate 12 people. It is located at the foot of Mt Raudkollur and the hillock Throskuldur is nearby. 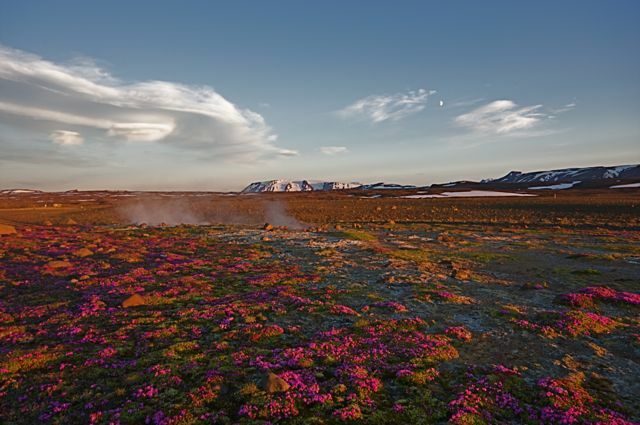 It is on the ancient trail across the Kjolur highlands between the northern and southern parts of the country. It has a tiny entrance, a ground floor and an attic above half of the ground floor. There are no utensils in the house. The latrine is a short distance away from the house. Visitors have to take all garbage with them. The environment offers short and pleasant hikes, i.e. Mt Hrutfell, Fagrahlid and jokulkrokur at the edge of glacier Langjokull. Mt Raudkollur and Oddnyjarhnjukur are also worthy goals. Day 3. 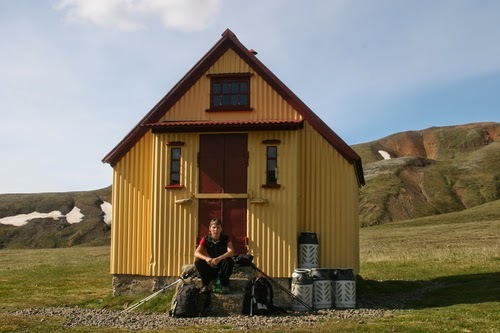 The third leg ends at the hut in Hveravellir after a hike of 12 km and an ascent of still another 100 m. There are several booklets available on this hiking route. For further information on the route the Travel Guide is at hand. Thank you for your report, very interesting! There's only one info I could not find: how long will it take to drive the F35 from one end to another? 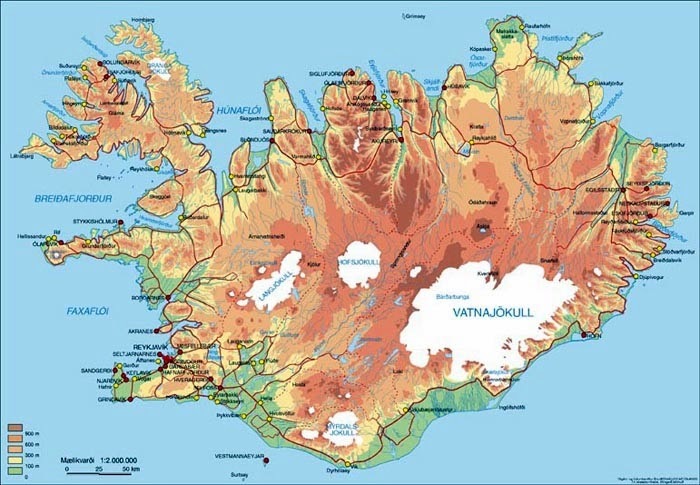 I'll start from Reykjavik and I need to reach Búðardalur for the night, so the driving time, no rush, is very important because I'll also have to add 1,5hrs from Reykjavik to Gullfoss and then 2 hours westbound on road 1 to reach Búðardalur...Thanks! 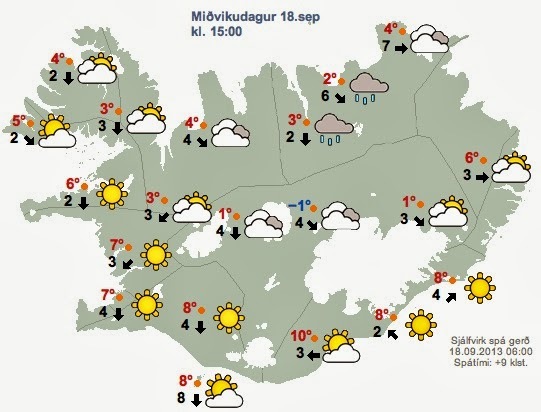 Is your 4 hour estimate from Reykjavik? I'm going again next Sunday. I'd say it takes "all day" to drive the full length of The Kjolur. It's about 150 kilometres or so, but it's gravel roads, so progress may be slower than you think, plus you'll want to stop now and again. I take 2 days over it, stopping about half way along, at Hveravellir. 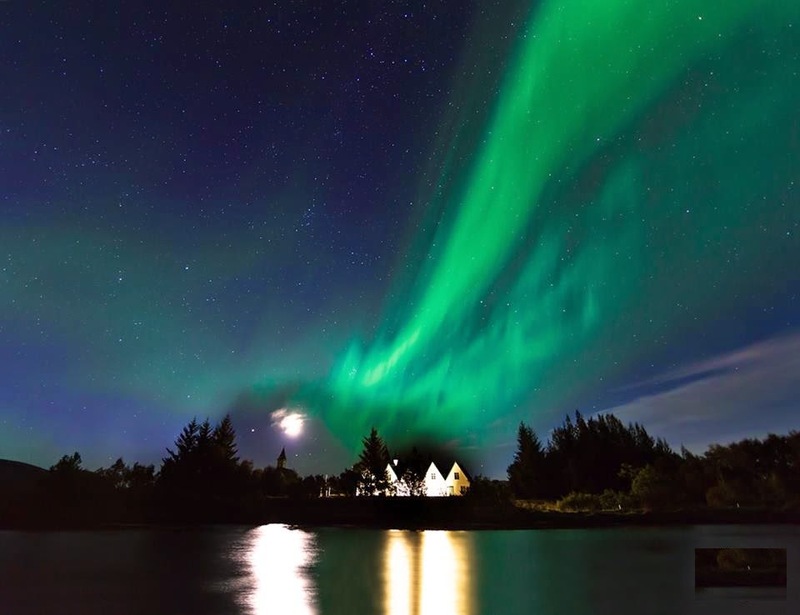 Hveralvellir is easily reached in one day, from Keflavik & Reykjavik, and stopping at Thingvellir, Geysir and Gulfoss on the way. 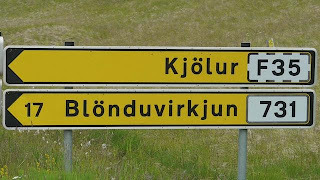 Personally, I wouldn't drive Reykjavik to Blondous in one hit. -you refer to it as the F35 whereas some say it's no longer a F-road. Which one is right? -how high are the chances for it to be open the last week of September? So, basically after Gullfoss you will need a 4x4. You can maybe be lucky if you try the last week of September. Great report. Thanks for sharing. 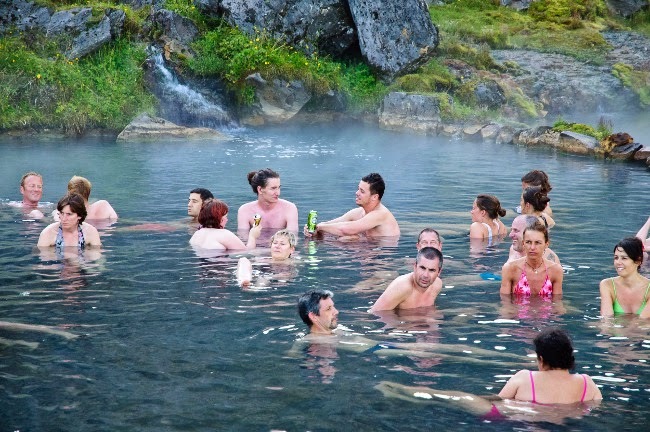 I am planning to be in Iceland in July. How much time of a drive do you believe Gullfoss to the Hvítárnes hut is? I will be using as 4x4 Rav4. Also, I see that to get to the hut, you turn off F35 at Arbudir and then drive across what seems to be a small river. Is it safe to drive across this river? Thanks in advance for the tips! 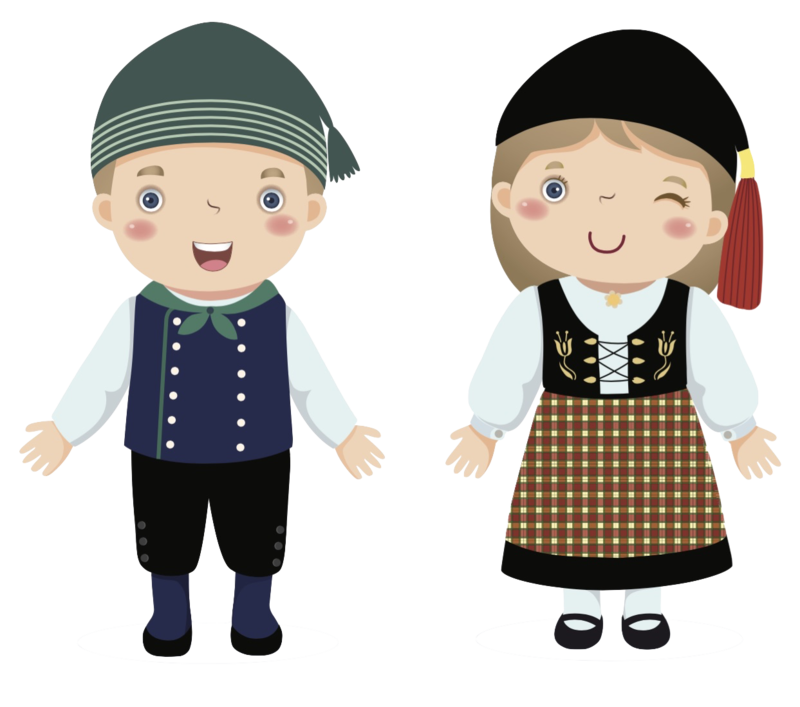 Hallo! The ones by the lake? I'd say around 40-50 minutes depending on the road condition. I remember just walking to the huts and leaving the vehicle close to Arbudir.